Western New Yorkers are well familiar with helicopter rides over Niagara Falls. But Buffalo's waterfront has gained so much parkland, expanded marinas, restaurants and housing, soon it may get a heliport. The Common Council is being asked to issue a special use permit for a site next to Silo City, adjacent to a CSX rail yard. The six-acre site is currently a large grassy field owned by Ellicott Development and the Benderson family. Taking off from the heliport would be tourist flights over the waterfront and perhaps as far as Niagara Falls. "We want this to be a recreational fun area for people to come to and spend a whole day at and have a good time down there and this is just another attraction that could add to that," Paladino said. The application to the city calls for a large paved area, hanger and office for choppers. Ellicott CEO William Paladino said it is handling the process for the land owners and the prospective aerial operator, through the Council and the Planning Board, both with hearings slated for October 10. "Mike Herr has an idea that he's done other places they think could be really good for Buffalo," Paladino said. "Obviously, we have a lot of good things going on in Buffalo and between Niagara Falls and the city and that, he thinks, he can attract a good business there, attract people who actually do want to take a flight over Buffalo and see what's going on here." With city approval, Paladino said the plan is to have construction done to have choppers flying sometime next spring. It is an area his company is familiar with because it has a major development on Ohio Street and an adaptive re-use on the way just off Ohio. 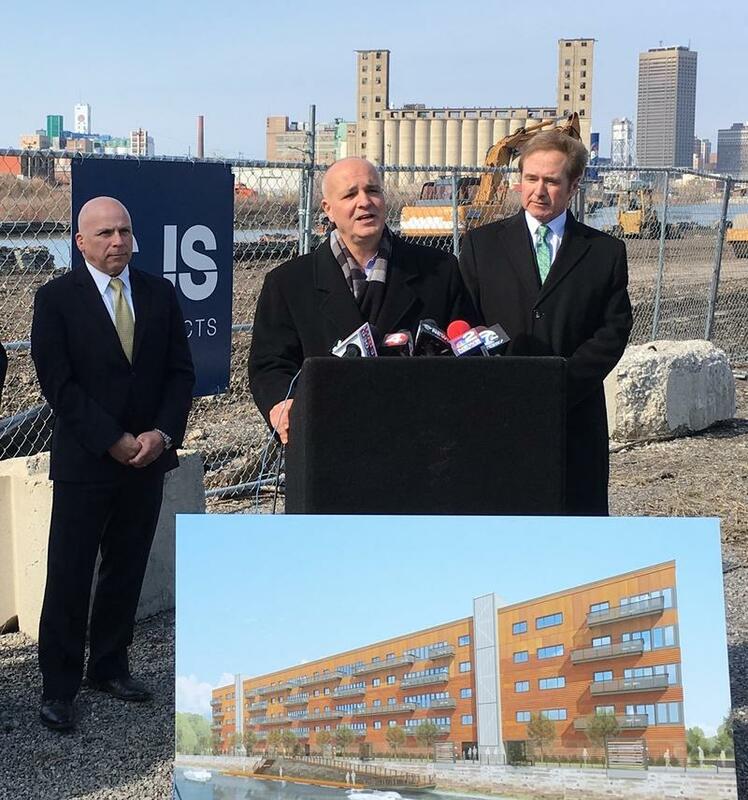 By early 2017, the City of Buffalo's rental stock will include nearly 100 apartments in two new buildings overlooking the Buffalo River. WBFO's Chris Caya reports on the mini building boom in Buffalo's Old First Ward neighborhood. More improvements are on the way along Buffalo's waterfront as the city is moving forward with the $11.3 million reconstruction of Ohio Street. WBFO'S Chris Caya reports on Ohio Street plans. 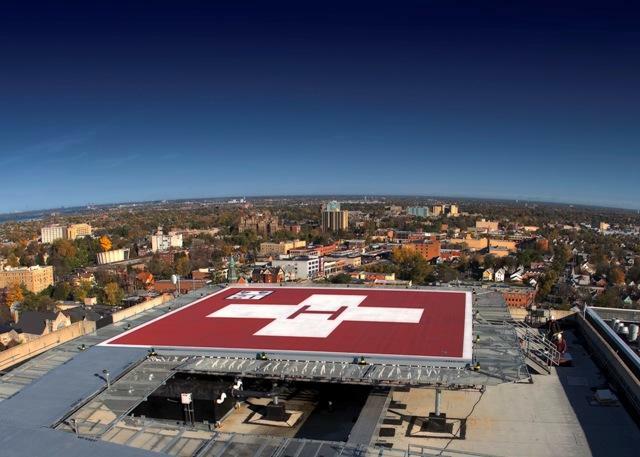 Buffalo, NY – A long-awaited helipad for Women and Children's Hospital received the unanimous approval Tuesday of the Buffalo Common Council. The vote followed several months of careful review. State Supreme Court Justice John Lane had ordered the Council to do a better job of addressing safety concerns. At issue is the presence of oxygen tanks near the proposed landing site on top of one of the hospital's buildings. Acting Hospital President Connie Krasinski said it was determined the tanks do not pose a danger. The Helipad is officially open at Buffalo General Hospital. Two patients have already been transported to the facility, now known as Buffalo General Medical Center.